The ‘high-tech’ weapon of the age. 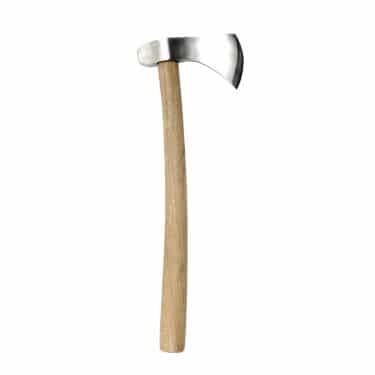 An excellent fighting axe especially designed for war. The axe blade could split mail, helms and shields and the heavy head could crush armour and bone. The curve in the hardwood shaft added to the power of the blow.